Red vertical-fine-rib-grain cloth. Blind and gold stamping on front. Gold stamping on spine. Blind stamping on back. Top gilt. 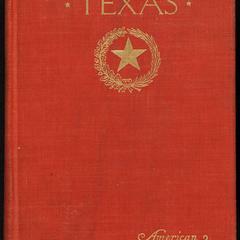 Book is part of American commonwealths series. 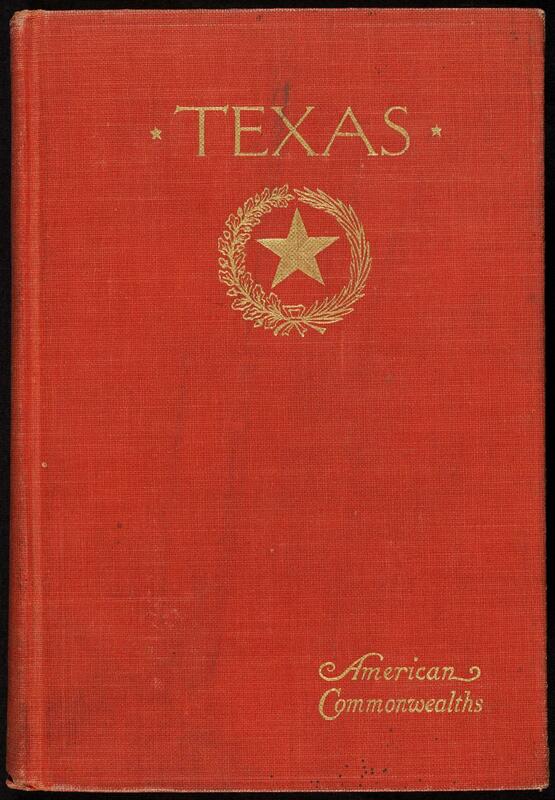 Book topic: Texas--History.